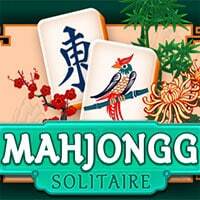 Mahjongg Solitaire is the traditional Mahjong Solitaire game from Arkadium. There are no shuffles in this game: can you clear the complete layout without shuffles? This classic Mahjong game requires rather careful planning and keen observation to get a high score! Enjoy and have fun in playing Mahjongg Solitaire Game. Good luck. This game is one of our puzzle games at Round Games. This game is also tagged as a logic and Mahjong game. To play even more free games, view our most played and all games pages. If you want to play more games like this game: Then you can simply check out the games inside the game tags that are the most relevant to your interests or check the puzzle Games category or check the related games section at the end of the game page. Also make sure to check out Candy Mahjong Game, you may enjoy playing it.